Kashmir Ladakh Tour – a holiday experience that amalgamates two of the most beautiful destinations of India. The 9 Nights/10 Days Kashmir and Ladakh Tour takes you on an enchanting sojourn at the “Paradise on the Earth”, while the stark “Land of High Passes” will mesmerise your senses. Book today for an experience of a lifetime. India is blessed with two of the finest tourist destinations – Kashmir and Ladakh. One is globally acclaimed for its sheer splendour and picturesque beauty, while the other exhibits breathtaking rustic charm that will enthral you. Our Kashmir Ladakh Tour brings to you the best of both the worlds. The 10-day Kashmir with Ladakh tour package encompasses awe-inspiring sights and experiences that you will treasure forever in the hearts. The first day of your Kashmir Ladakh Tour beings with fun and frolic as you arrive at Srinagar. Our dedicated destination specialist will welcome you at Sheikh ul-Alam International Airport or at Srinagar Railway Station, and will directly transfer to your pre-booked deluxe houseboat at Dal Lake. 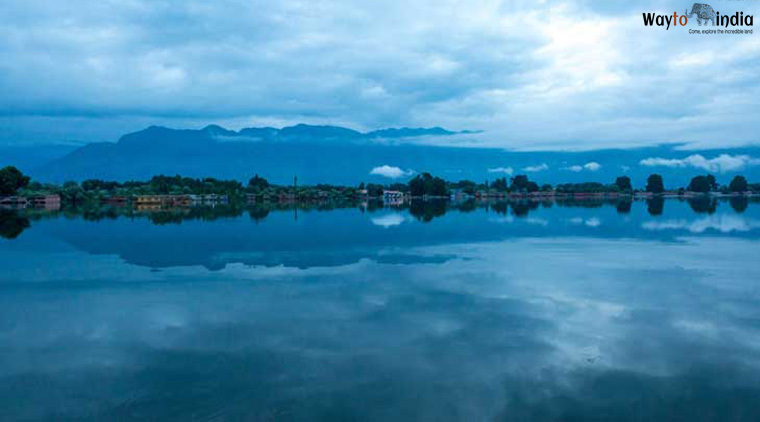 The fascinating Dal Lake is Srinagar’s best attraction that allures tourists from around the world. Nestled amid snow-capped mountains and lush meadows, the pristine lake is a treasure trove for the travellers. Now imagine sipping onto your favourite drink while overlooking the mesmerising beauty of the Dal Lake! Yes; the experience comes true on a luxury houseboat. Have an enchanting experience at one of these “Floating Palaces” that are well-facilitated with modern amenities to ensure the most comfortable stay. After you check-in your houseboat, enjoy a sumptuous lunch spread that serves the finest Kashmiri cuisine. Next, you can enjoy a relaxing Shikara ride on Dal Lake, witnessing the stunning beauty around. The floating gardens and Shikara shops are the prime attractions of this 2-hour boat ride. Later, you can proceed towards the popular Mughal Gardens, Shalimar Gardens and Nishat Bagh. Enjoy a soothing overnight stay at the houseboat. After a hearty breakfast at the houseboat, embark on a full-day excursion to the land of phenomenal beauty – Gulmarg. It takes approximately 2 hours to reach Gulmarg via the hilly terrains of Srinagar – Tangmarg Road, with breathtaking scenic views around. The hill station is a famous ski destination and you can spend the day enjoying snow skiing and Gondola cable car ride to Kungdoor and Aparwath. Enjoy your lunch at a local hotel. Next, make your evening more enthralling amid picturesque beauty of snow-capped mountains, lush meadows and sheer tranquillity. Take a stroll along Gulmarg famous golf course or visit the stunning flower-covered Khilanmarg on a cable car. Overnight stay at a hotel in Gulmarg. On Day 3 of Kashmir Ladakh Tour, drive to yet another beautiful tourist destination – Pahalgam. The charming valley is nestled at the foothills of the Himalayas, on the banks of River Lidder. It takes approximately 4 hours to reach Pahalgam and we will have a stop-over at the Cricket Bat Factory and Avantipur Ruins. The “Ruins of Avantipur” is a stark contrast to what we imagine of Kashmir – snow-kissed mountains, pristine landscapes, meandering streams and vibrant meadows. In fact, Avantipur Ruins exhibits yet another facet of the “Paradise on Earth” – ancient history. Explore the rich traditions and architectural splendour hidden amid the ravages of two temples, Avantishwar and Avantiswami. After reaching Pahalgam by the afternoon, complete the hotel check-in facilities and take some rest. In the evening, enjoy the ravishing sights of the Lidder River valley. Return back to your hotel and stay overnight. Next morning, set off for a relaxing walk along Lidder River. The picturesque glacial river is a sight to behold and a popular tourist spot in Pahalgam. Indulge into sheer tranquillity and beauty of the place, admiring the crystal-clear water of the river against the stunning backdrop of lush mountains. Some of the places that you would be visiting are Aru Valley, Betaab Valley, Mamal Temple(Temple dating 400 CE) and Pahalgam Club Garden. 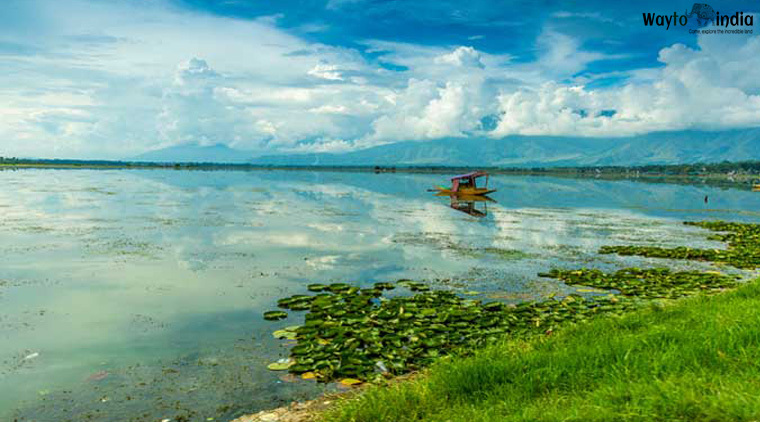 In the afternoon, escape on a long drive to Srinagar – a quaint hill station and the capital city of Jammu & Kashmir. On reaching Srinagar, complete the check-in formalities at your hotel. Relax and unwind for the rest of the day. In the evening, you can visit the local market for a fun-filled shopping experience. After a hearty breakfast at the hotel, begin your journey to Kargil – the warrior land that narrates the glorious tale of chivalrous Indian military troops who won back the Tiger Hill from infiltrators in a long battle. En-route, halt at Sonmarg for lunch. Be amazed by the scenic beauty of the “Meadow of Gold” which is a treat to sore eyes. The ravishing Indus River flowing amid vast expanse of lush valley is a beauty that allures you for an unmatched experience. It takes approximately 2 h 30 minutes to reach Sonmarg from Srinagar. After a quick stop at Drass village, we will move on to reach Kargil by the evening. On arrival, check-in your hotel or deluxe camp for overnight stay. 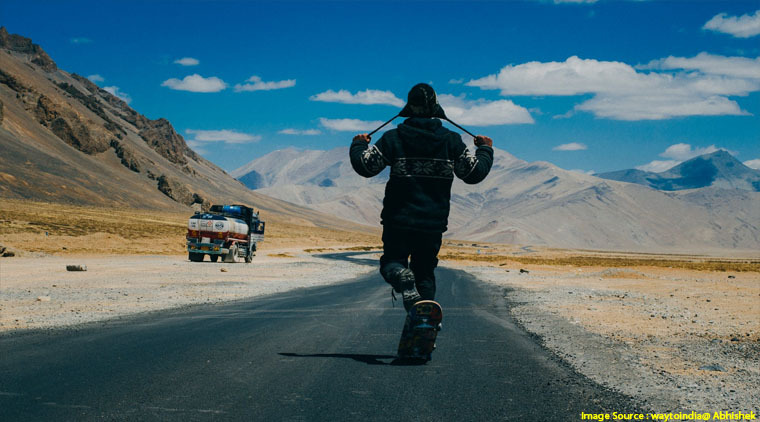 On day 6 of your Kashmir Ladakh tour, embark on a full-day drive to Leh. While ascending, we will cross over several prominent locations where you can unwind from your long journey of 6 hours. Visit the captivating Mulbek Village, reckoned for its ancient rock-cut statue of Maitreya Buddha. Cross Fotu La Pass, the highest point on the Srinagar-Leh Highway, at an elevation of 13,478 feet. Next is a quick halt at Lamayuru Monastery where you can take amazing photos with the lunar-like landscapes at the background. Stop over for lunch and photography at the conglomeration of River Indus and River Zanskar. Reach Leh by the evening and check-in at your hotel. Stay overnight in Leh. After savouring a delicious breakfast at your hotel, move on for a full day tour of famous monasteries in Indus Valley. Visit the Stok Palace Museum, located at close proximity to The Indus River. The museum sits on the 4-storeyed palace of the erstwhile royal family of Ladakh. It has a fascinating collection of Buddhist art, coins, weapons, thangka paintings, seals and other items belonging to the royal household. However, a key attraction of the museum is the ceremonial headgear of the erstwhile rulers and jewellery of the royal Queen. Next, we will visit three popular Buddhist monasteries of the Indus Valley – Thiksey Monastery, Stanga Monastery and Hemis Monastery. The Hemis Monastery is one of the most famous Buddhist monasteries in the world, also known for the vibrant & colourful Hemis Festival. You can also enjoy a picnic lunch amid the mesmerising scenic beauty of the Indus Valley. Day 8 of Kashmir Ladakh Tour begins with an early morning visit to the Khardung La Pass. Perched at an astounding elevation of 18,360 feet above the sea level, it is the highest motorable road in the world. Here you can shop souvenirs to take back home memories of Leh. Return back to Leh by afternoon and enjoy a special lunch at the hotel. After lunch, you can visit Shanti Stupa, a white-domed chorten situated on a hilltop in Chanspa. The Stupa is a sheer delight for the eyes, facing the Leh Palace and overlooking the vibrant city. In the evening you are free to go shopping or strolling through the colourful city. Stay overnight at the hotel. 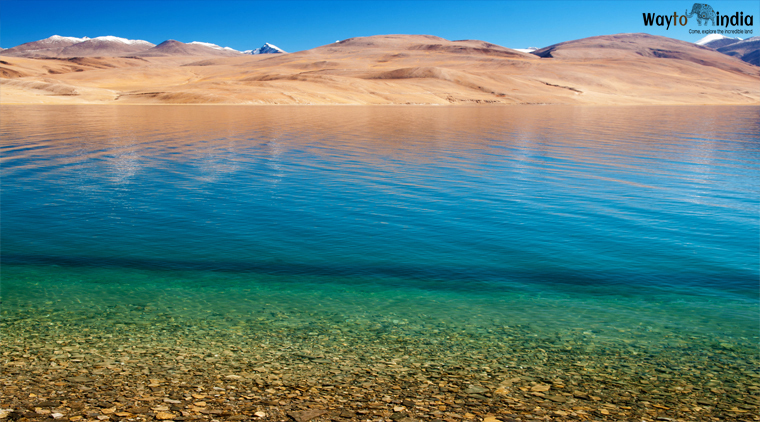 Next morning, leave early for a full day excursion at Pangong Tso. It is the one of the largest natural brackish water lakes in the Himalayas, tucked beautifully amid the snow-capped mountains. 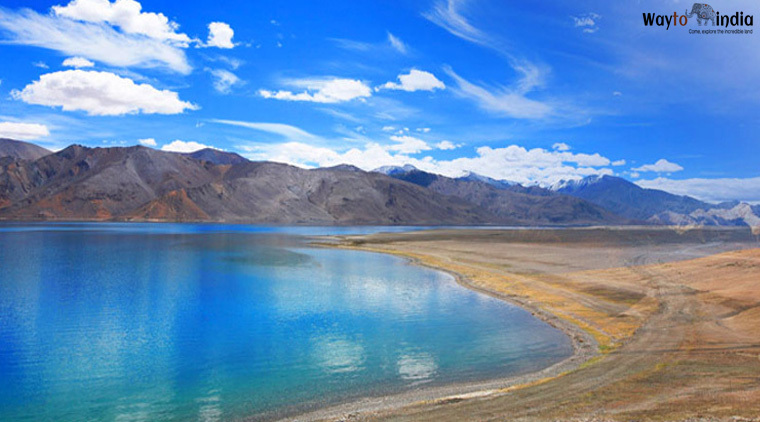 Ladakh’s Pangong Lake is where the last scene of popular Hindi movie 3 Idiots was shot. The stunning landscape and rugged beauty of this place will simply beguile your senses. Enjoy an enchanting picnic lunch with your loved ones along the lake. Return to your hotel in Leh by the evening and stay overnight. On the last day of your tour, you will be transferred to the airport from where you can depart for your onward journey. WaytoIndia brings to you the exotic Kashmir Ladakh Tour package, a perfect blend of two of the finest tourist destinations in India. Unravel the essence of Kashmir and Ladakh with us; book our Kashmir and Ladakh tour package today. Inquire now for the best deals! Best time to visit: The best time for Kashmir & Ladakh tour is from April to mid-May and from September to October. The marvellous Hemis Festival is also held during this time. It is advised to avoid visiting Ladakh during winter when the temperature can drop to -30 degree Celsius. 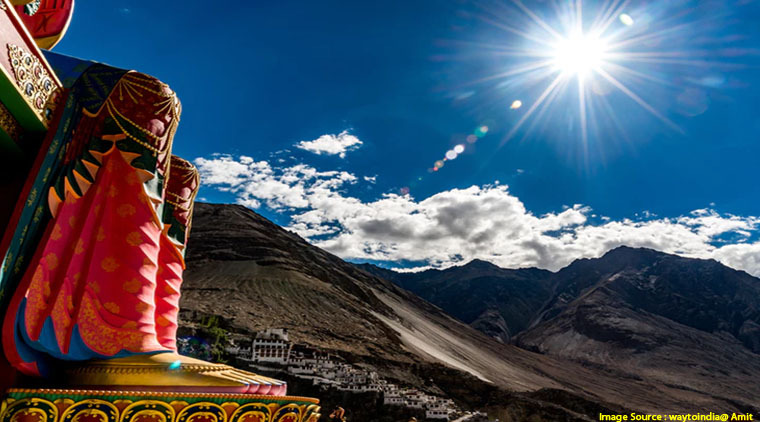 Inner line permit for Leh-Ladakh: Tourists do not require permit to visit Leh; however, foreign tourists need to be registered at Rumtse, Drass and Serchu if travelling overland. Special permits are required to visit restricted areas like Pangong Lake, Nubra Valley, Tsomoriri, Dhahanu and Tsokar. This can be obtained from the District Magistrate of Leh via travel agencies. ATM facility: State Bank of India & Jammu and Kashmir Bank has their ATM facilities in Leh. ATM services of other private banks are also available in Leh Market. However, it is advised to carry enough cash because very few tour operators and hotels accept credit/debit card. Clothing & accessory: Irrespective of the season you are travelling, it is important to carry ample warm clothes for Kashmir and Ladakh Tour. Do not forget your sunglasses, sunscreen lotion, first-aid kit, tissue paper and comfortable footwear. Ski boots are available on hire at different tourist sites. Dress code: Avoid wearing sleeveless shirts, shorts or any other revealing clothing in monasteries, temples, gurudwara and mosques. Risk factors: As you ascend towards a high altitude, you may feel nauseated or have breathing problems due to lack of oxygen. Make sure you are well prepared for the same. Tourists with respiratory problems or heart issues should avoid travelling to high altitude regions.